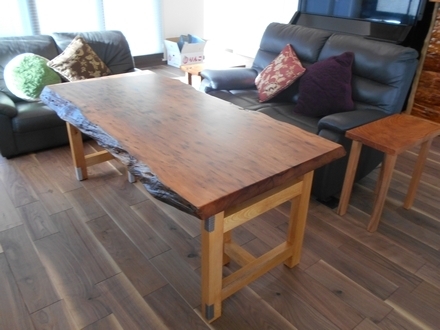 We made a delivery of a Yakushima cedar table top, Zelkova legs, a small Zelkova table and a Yakushima cedar chest. The floor was made by walnut. 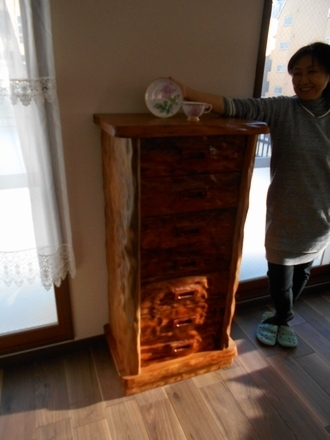 Each wood were beautiful, and made the living room seem warm and cozy.